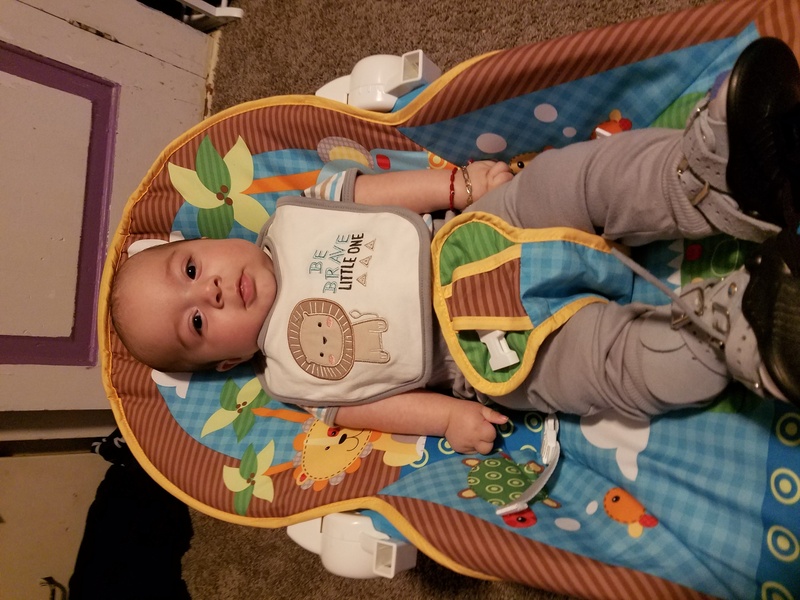 We started our clubfoot journey about 4 years ago after I went for my first ultrasound appointment and then was called to be seen by my obstetrician immediately for the results. Honestly, I had no idea what the doctor was referring to as clubfoot, I had never heard of it and I felt panicked and my husband absolutely crumbled. As the doctor stepped out, I tried to google images and…well, clubfoot images can be kinda hard to take in with no background knowledge on the condition. *Side note* these same images now make my heart happy and clubfoot baby feet are just adorable! I went from a very normal pregnancy to being labeled a high-risk pregnancy, just like that. So it was a pretty dramatic start to our journey but here we are now and my son has been treated for 3.5 years and his progress is amazing and he’s a super athletic little guy. So maybe you have arrived here searching the internet frantically for any information about this condition (just like I did a few years ago). Or maybe, you are already traveling the journey and want to share just a small piece of information with others about what it’s like to be a clubfoot parent. Or maybe you want to support someone you love who has found themselves finding out about clubfoot. No matter what reason you’re here, I’m so happy you are. Clubfoot is a complex, congenital deformity of the foot caused by the abnormal development of a baby’s bones, ligaments and muscles while the baby is in the womb. Clubfoot is a relatively common birth defect, as 1 in 1,000 babies are born with clubfoot. Clubfoot is treatable and the prognosis is promising with proper treatment. Find a doctor you trust and who is properly trained to treat your child. There’s no shame in seeking a second opinion. We did and couldn’t be happier with that decision. It’s hard. It’s emotional. Traveling the clubfoot journey is stressful and emotional, especially the first few months. Finding out any little thing could possibly be wrong with your baby is devastating. As a parent, your heart aches when you see your child in any discomfort but it’s necessary to be strong and be committed to the treatment. It gets easier. I don’t like to make generalizations (all journeys are unique) so I speak from our experience, it did get easier. The casting phase was challenging, the tenotomy was scary, the early days of boots and bar were hard. But, now, the follow-up appointments and the boots and bar are just a part of our routine. This does not mean, I’ve stopped worrying. We still worry as we’ve crossed different bridges but the actual treatment process has gotten easier with time. It’s worth it. Every shed tear, all the traveled distances, all the appointments, all the worry, all the questions, all the stress. It’s all totally worth it. Know who you can turn to for support. Make sure they are your backbone when you need it. At times, we need someone to talk to, someone to listen, and someone to push us to stick to the doctor’s orders when it’s hard. Have someone who is your cheerleader, who acknowledges your child’s successes with you, who notices the time on the clock and reminds you it’s time to put shoes on. My husband is the time-keeper in our house and we never make excuses – shoes on, shoes stay on for the prescribed number of hours. Be consistent. Follow through. Ask questions. Do your research. Clubfoot treatment has come a long way and there are research-based methods for treatment and time schedules that must be followed. I’ve asked my fair share of questions along the way and there’s no shame in it. As a concerned mama, I’ve wanted to be sure I’m doing everything that’s within my control, to help my son’s treatment be successful. Don’t listen to the naysayers. There may be the person that asks “can’t you just skip a night?” or “do you think that cast is suppose to be like that?” or “do you really need to wear shoes that long?” This is not support. Do not doubt what you know as a clubfoot parent. Some will say “but at least it’s not something worse.” This is not support. From a mama’s perspective, we never wish any difficulty on our child and our hearts ache when our child has any pain. I am extremely grateful there is treatment available and that my child has overcome but the above statement undermines what a family has to go through on the clubfoot journey. Ultimately, we all want our kiddos to always be healthy and happy. One thing I know for sure, clubfoot babies are superhero babies! I’d absolutely love to connect with you via social media or the comments below! Awesome post Erin! GREAT facts to know. I agree ignore the naysayers!! This is the best thing for our kids and it’s only temporary. Sharing this post! Thank you so much, Dominique! I agree – it’s the best thing and when they walk, hop, and jump our little hearts sing! I’m so glad you shared, Jasmine! It’s so comforting as a mother to meet and hear success stories. I think one reason I had never heard of it and others haven’t is because often the treatment is completed so early in life. Hope you have a lovely weekend! I’m so happy you left a comment, Brenda. I absolutely know how hard it can be. Trust that you are doing what’s best for your son and it gets easier. There is a group on Facebook (Clubfoot Mommas) for extra support and any questions you may have over time. Your little one is absolutely so cute! I believe our clubfoot babies are definitely little superheroes! Stay strong! i second everything said here. I have an 18 month old and we have experience all of the above. We never skip a night and although it’s tough, it’s the best for our boy :) Thanks for sharing this post. I’d like to get more involved in helping families who don’t have insurance coverage get the help they need if any others here are interested. I will gladly share my email. Thank you for taking the time to comment, Susan! I hope your son continues to do well! You are doing such a great thing for him by ensuring he wears his boots!